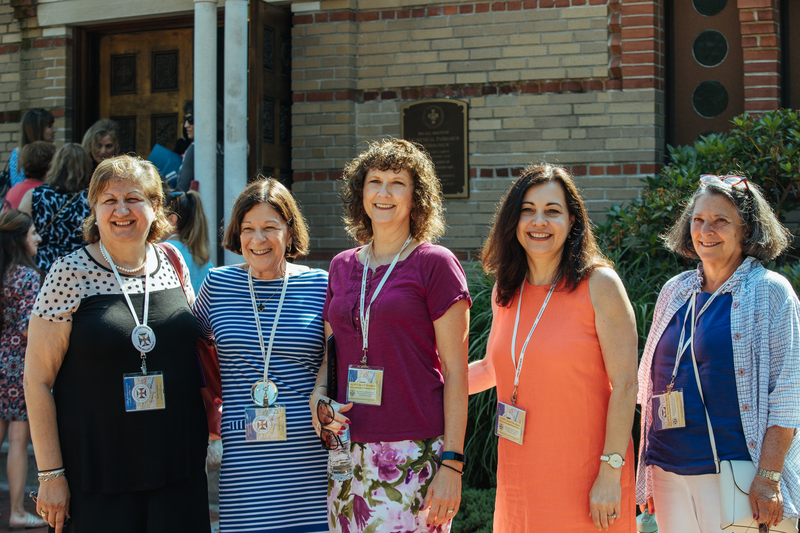 Hellenic College Holy Cross Greek Orthodox School of Theology hosted a special day for delegates to the 44th Clergy-Laity Congress on July 3, 2018. More than a thousand delegates, some with their families, traveled from Congress headquarters at the Boston Marriott Copley Place Hotel to the school’s 52-acre campus overlooking the Boston skyline. Despite the unprecedented logistical challenge of providing a stimulating and rewarding experience for so many visitors on a single day, HCHC’s administration, staff, faculty, and students worked together for months prior to July 3 to ensure that everything would go smoothly and every guest would return home with a new appreciation for this unique institution. The visiting delegates were divided into five groups, with morning programs exclusively for members of the Greek Orthodox Ladies Philoptochos Society. Both clergy and lay delegates attended the afternoon programs, which included a breakout session for hierarchs and clergy. 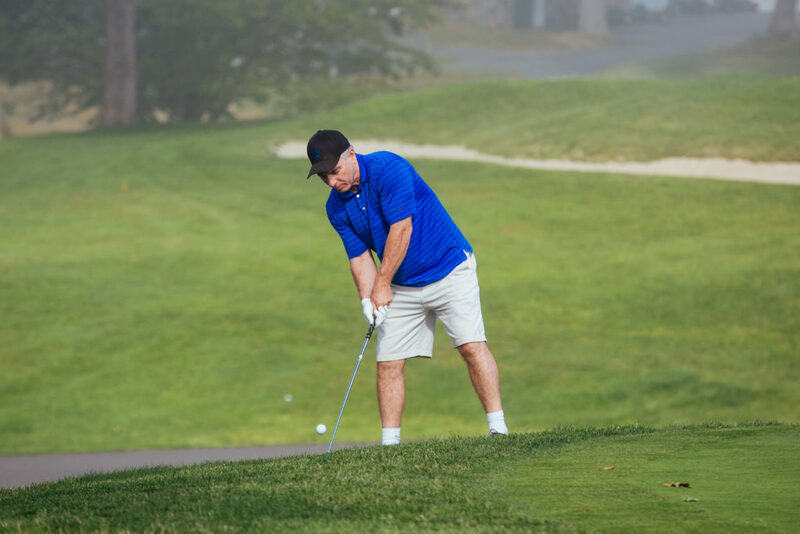 HCHC’s President, Rev. Fr. Christopher Metropulos, was introduced by Board of Trustees member and alumna of the school Theodora Vaporis, Esq. In his welcome to the delegates, Fr. Metropulos shared plans for the school’s robust future and presented a short, inspiring video. When he asked how many of those present were visiting HCHC for the first time, hundreds of hands went up. Surveying the huge crowd, Fr. 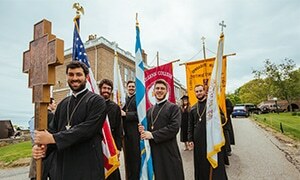 Metropulos said, “It is time for Hellenic College Holy Cross to become a household word” and “As the school goes, so goes the Church in America”–statements that were greeted with thunderous applause. Those present for one of the afternoon sessions in the Chapel had the additional blessing of being addressed by His Eminence Archbishop Demetrios, Geron of America, who spoke eloquently about the school’s unique contribution to Orthodoxy in America. His Eminence also led prayers at the graves of the three beloved Hierarchs of blessed memory who are buried behind the Chapel: His Eminence Archbishop Iakovos, His Excellency Metropolitan Silas, and His Grace Bishop Gerasimos. 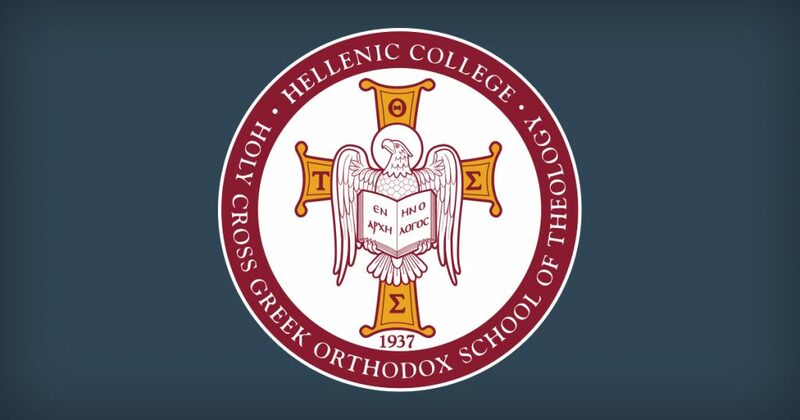 At an afternoon session exclusively for Hierarchs and clergy of the Greek Orthodox Archdiocese, many thought-provoking ideas about the future of theological education at HCHC were presented and discussed. The school’s administration and faculty will take the valuable input from that session into consideration as they develop a new vision for the future.